Prepare yourself for the greatest show that has ever aired. For years, Anthony & Gartiz have been debating their uniquely diverse views on everything and nothing at the same time. Now, you get to listen. Wrestling is still real to them, they listen to better rap than most, have a love/hate relationship with movies, and don’t worry about climate change because a super volcano is going to destroy everything. Their perspective on day-to -day happenings will change the way you look at life. Ranging from the funny to the serious and all the craziness in between…no topic is off limits. 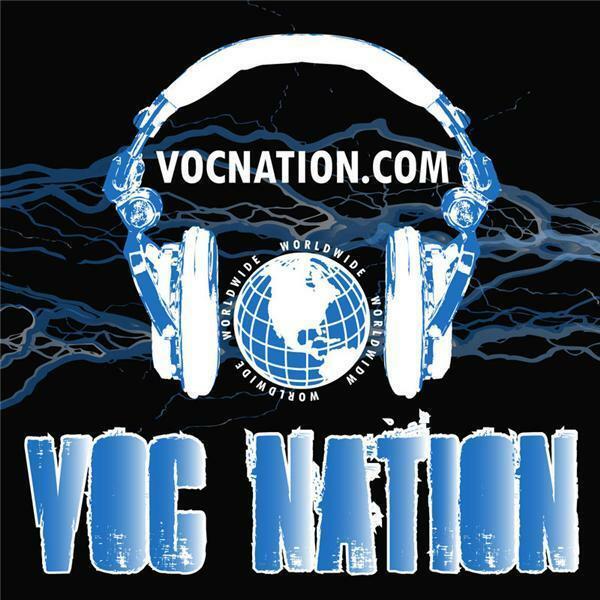 Follow VOC Nation @vocnation Visit VOC Nation on the web at http://vocnation.com, simulcast at http://thebradyhicks.com The VOC Nation Radio Network traces its roots back to 2009 in Philadelphia. Bruce Wirt took over the afternoon shift on the Voice America Health and Wellness Network and proclaimed himself, “your new ‘Voice of Choice’ in afternoon radio.” The V-O-C in VOC Nation was born. The VOC Nation Radio Network spun away from WNJC Phila in October 2012 and took to the “cloud”, using their solid fan base to instantly become one of the most listened to mediums on the Internet. In 2014, VOC Nation merged with Brady Hicks' IN THE ROOM Internet Radio Network, giving the combined medium over 50,000 monthly listeners. VOC Nation Radio streams live programming 7 days a week, and has forged partnerships with BlogTalkRadio, Stitcher Internet Radio, Podomatic, iTunes, and GoDaddy to bring daily live entertainment and podcasts to listeners worldwide. VOC Nation has over 100,000 twitter followers and ranks in the top 1% of podcasts as ranked by Podomatic, and in the top 5% of streaming programming as ranked by Stitcher.